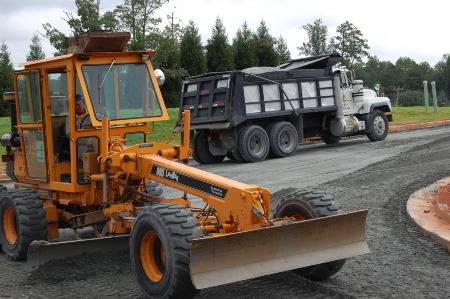 Fulton Paving Co., Inc. is equipped to complete large and small paving projects including, but not limited to: new asphalt, patch jobs, pavement maintenance, grading and sealcoating. If you have any questions regarding what Fulton Paving can do for you, please contact us! Are you unsure if Fulton Paving does the kind of work you need? If you are not sure if Fulton Paving is equipped to complete your job, please call us today to learn what we can do for you! Are you Ready to Pave? When you are ready to pave, our expertly trained crews will provide you with unparalleled service and only the best quality work. Our state of the art equipment will ensure your job will look better and last longer. Project sizes vary and we have the equipment to accommodate commercial, industrial, and residential jobs. We are always working to improve our quality of service as well as our product. When the industry has a breakthrough in technology or equipment or asphalt, we test and implement if it meets our standards. At Fulton Paving, we make sure that we are delivering the best the industry has to offer. 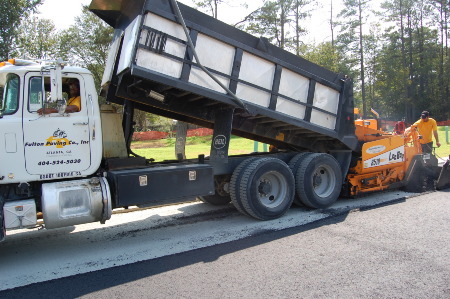 PERMAFLEX is an example of an asphalt component that sets Fulton Paving apart from other paving contractors.